The maritime heritage of Jefferson County has left the region with not only a lush historical background, but plenty of places to explore, too. Of all the River-related activities to get into, visiting lighthouses remains a favorite for vacationers and locals alike. Rock Island Lighthouse offers an island experience certainly worth exploring. Located less than five miles downriver from Clayton, near Fisher’s Landing, the Rock Island Lighthouse is one of six lighthouses along the St. Lawrence River, only a few of which are accessible to the public. Its story and structure make it unique even among the St. Lawrence lighthouses, and years of renovations have spruced the place up and transformed it from a lonely old lighthouse to a new hot-spot Thousand Islands destination where visitors can go to get a good look at life on the river, past and present. Inside the keeper’s house, a maritime museum provides plenty of interesting stories from the island’s history. 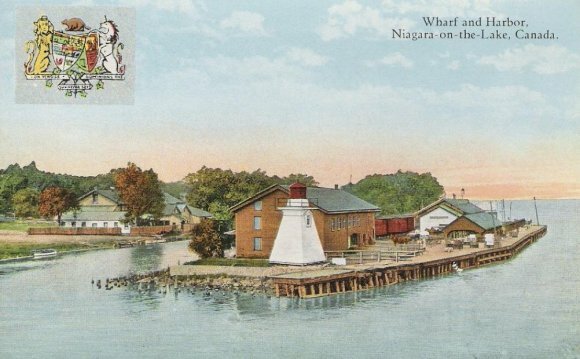 Exhibits interpret the lives of the various Rock Island Lighthouse keepers and the importance of the St. Lawrence River as a private and commercial transportation route throughout the years, including highlights on tourism, history, and the role of the seaway and its freighters, and other topics of interest. In the light tower, visitors can climb up into the lantern room for a bird’s eye view of the St. Lawrence River, the very same one shared by the legendary light keepers of yesteryear. The grounds are open for picnicking and photo ops, making Rock Island a perfect stop during a midday cruise along the St. Lawrence or a destination in itself. If you’re looking for a lighthouse that’s accessible by land, look no further than Cape Vincent’s famous Tibbetts Point, one of the most iconic of the Thousand Islands lighthouses. While there’s plenty to do in town and on the river, no trip to this region is complete without a stop to check out this historic light—and the awesome views from the surrounding grounds. Situated on a rocky outcropping marking the end of Lake Ontario ends and the beginning of the mighty St. Lawrence River, the lighthouse served as an essential marker for river captains as they navigated their ships through the narrow passage between the lake and the river. For well over a century countless ship captains and even prohibition-era bootleggers were directed through the passage safely by its light and the later addition of an all-weather foghorn. The lighthouse has seen countless seasons, ships, residents and visitors, and to discover its story is to take a trip that winds as far back through history as the waterway itself. Be sure to visit the on-site Visitor’s Center, run by the Tibbetts Point Lighthouse Society, which provides an interactive historical experience and offers a wealth of information on the lighthouse and the area itself.